Greetings from Lytle PD, The weekly police blotter has been posted to our website, you can find it at www.lytletx.org/police. Feel free to email or contact me if you have any questions. richard. priest@lytletx.org . We had a few arrests this last week so that will at least give us some activity to report on. The first arrests was on Monday, a traffic stop on Diaz St. by Lt. Dear and Ofc. Pena resulted in the arrests of 3 individuals for possession of “weed”. Some other controlled substances were found as well as drug paraphernalia. They were all booked in to the Medina Co. Jail. On Wednesday, Sgt. Hanson arrested a fellow that pushed out about $800 worth of stuff from H.E.B., he had prior thefts so this one was an automatic felony. The fellow fled in his vehicle but was located just down the street at the Dollar General. He was shoplifting with his wife but I guess he forgot to tell her he was fleeing the scene. She was caught trying to leave H.E.B. with about $60 worth of items (she got a citation for theft). I have been to a few marriage retreats and always avoided the “Shoplifting as a Couple to Grow Closer” break out session. Now some people would say “maybe they were hungry” ok, well out of about $860 worth of items not one single item was edible. I’m not a shoplifter but I can guarantee you that if I loaded up a basket with $800 worth of stuff there would at least be a Snicker bar in there. On Saturday, Captain Reyes and Ofc. Antuna conducted a traffic stop on Main St. and found the occupant was “wanted”. 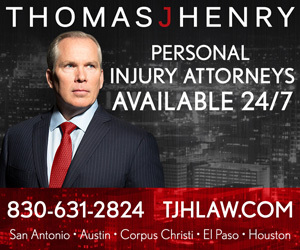 He had and active felony injury to a child warrant out of Bexar Co. He was booked into the Atascosa Co. Jail. On Sunday, the dynamic duo also made a field contact on a suspicious vehicle and cited two occupants for possession of drug paraphernalia. 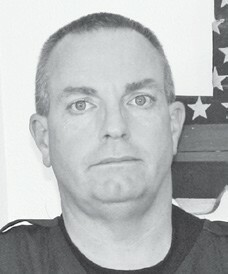 RICHEY PRIEST is the Chief of Police in Lytle..